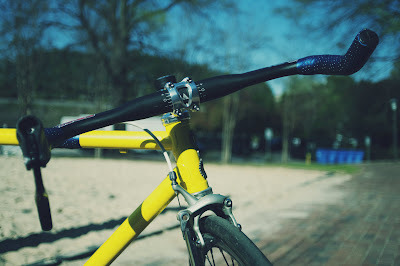 Aero bars on a fixie... awesome. 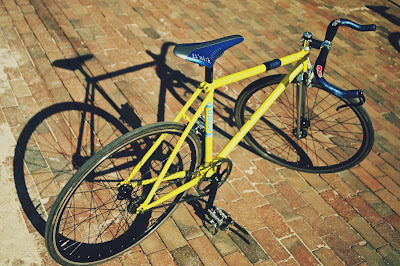 This bike has a great color scheme and is full of high end components. I can only imagine that it would be a blast to ride. 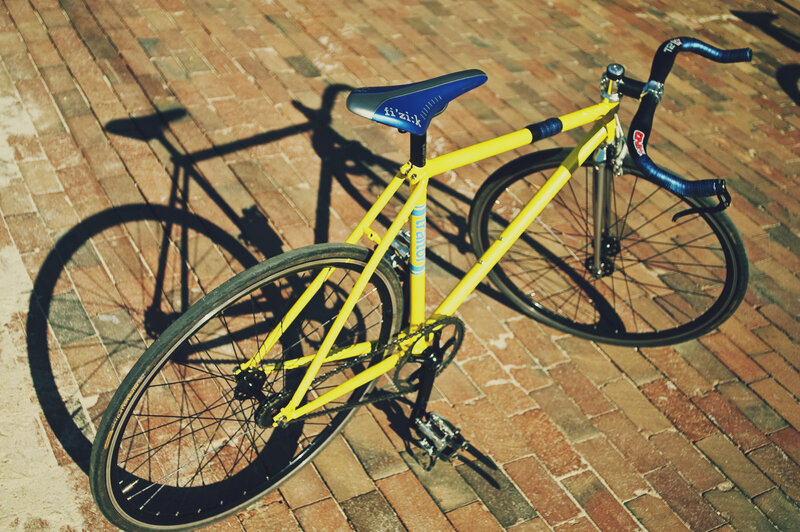 8-bit skeletor of the bike world. 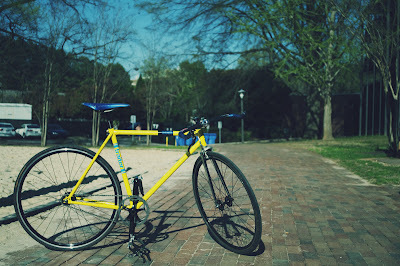 Roomates new bike. Murdered out.